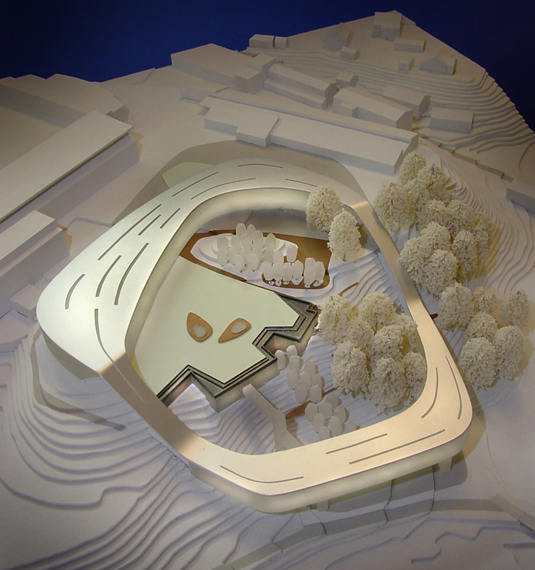 Invited competition for new campus buildings. 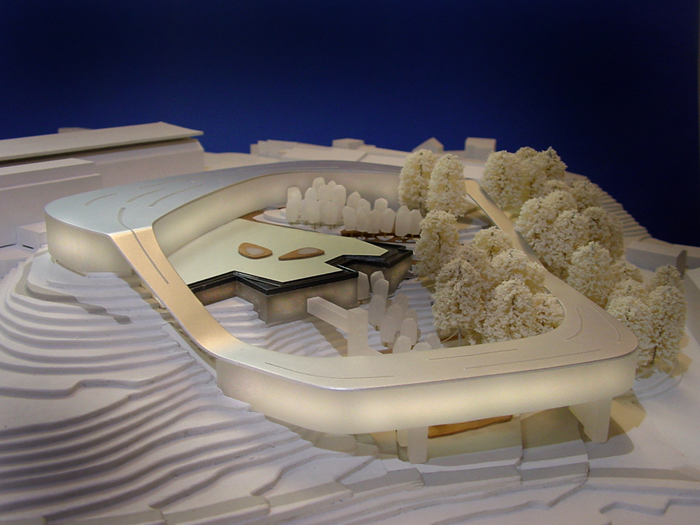 The campus site rises 23 metres and had been developed in an ad-hoc way. 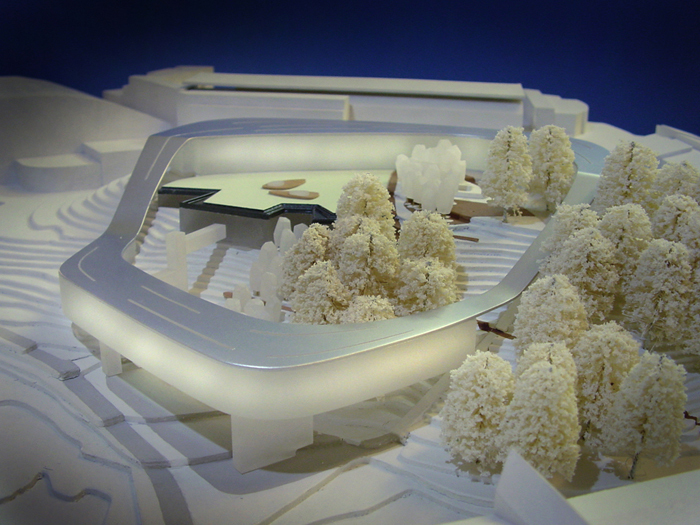 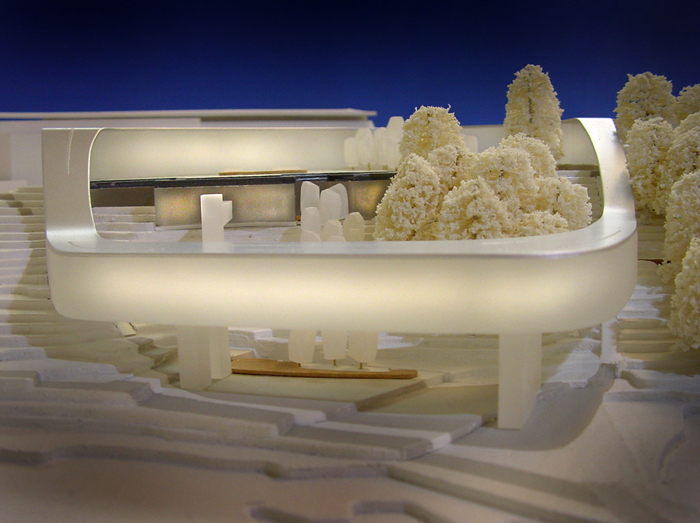 The proposed ring shaped structure houses all the academic and student facilities around the edge of the site, forming a protected garden in the centre.